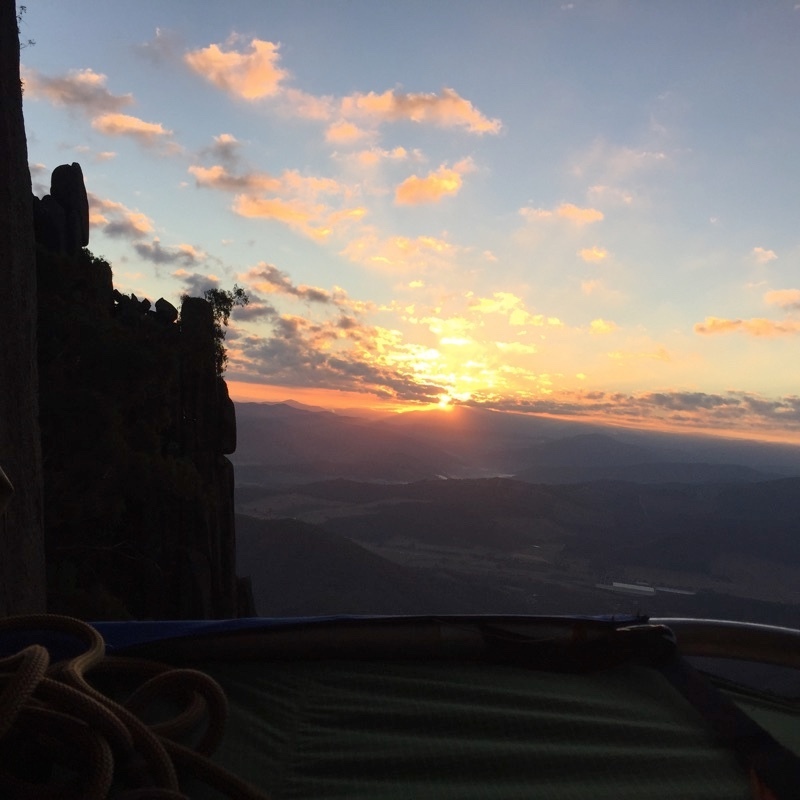 Australia's iconic big wall, The North Wall (south facing, so little sunshine in these antipodes) is the longest section of cliff of Mt. 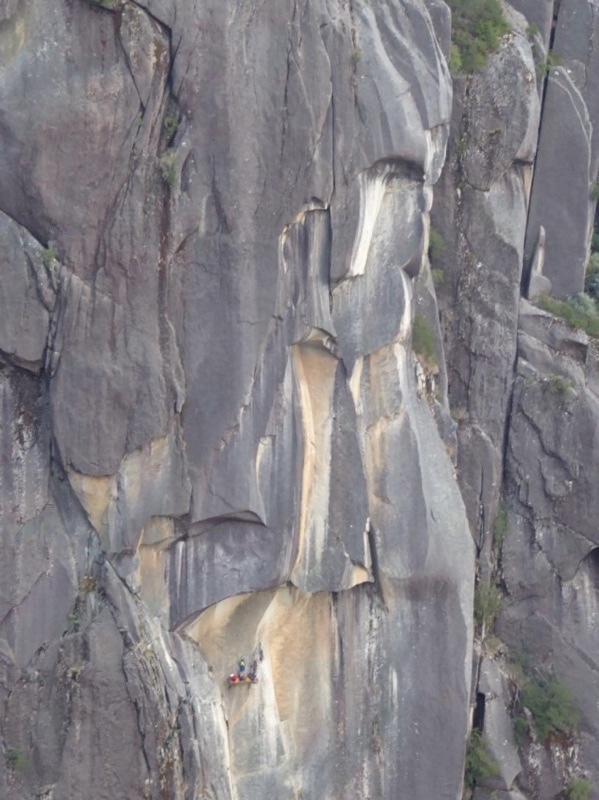 Buffalo, about 1000 feet of vertical granite. First attempted by John Ewbank and Chris Baxter in 1969, Chris later teamed up with Chris Dewhirst (apparently much to Ewbank's consternation) to climb the first ascent of Ozymandias. 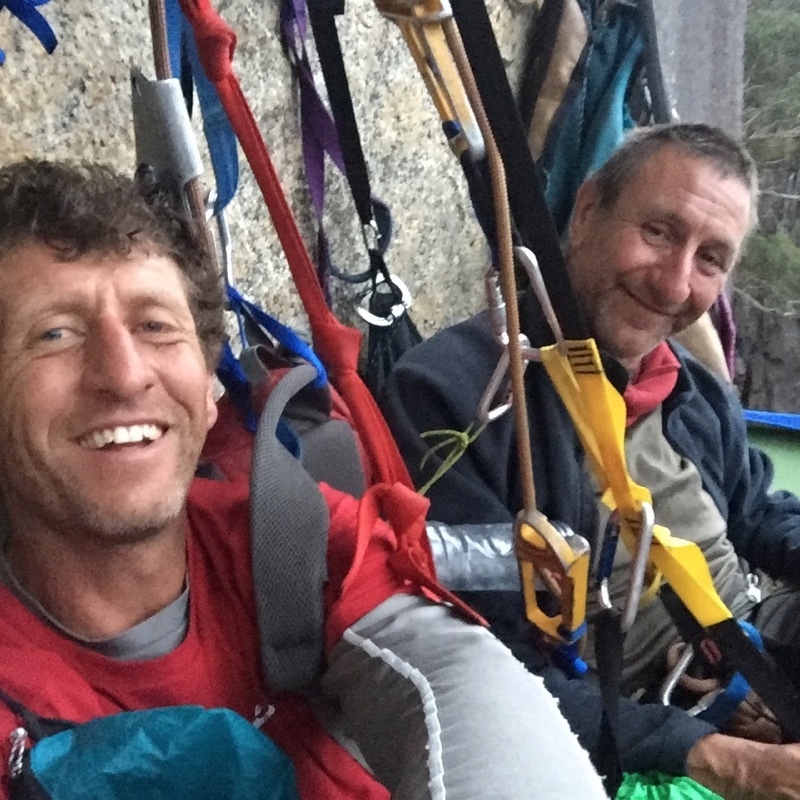 In 1972, Geoff and Alan Gledhill took the more imposing direct line through the big roof midway up the face, finishing at the Wilkinson Lookout, creating the route now known as Ozymandias Direct. 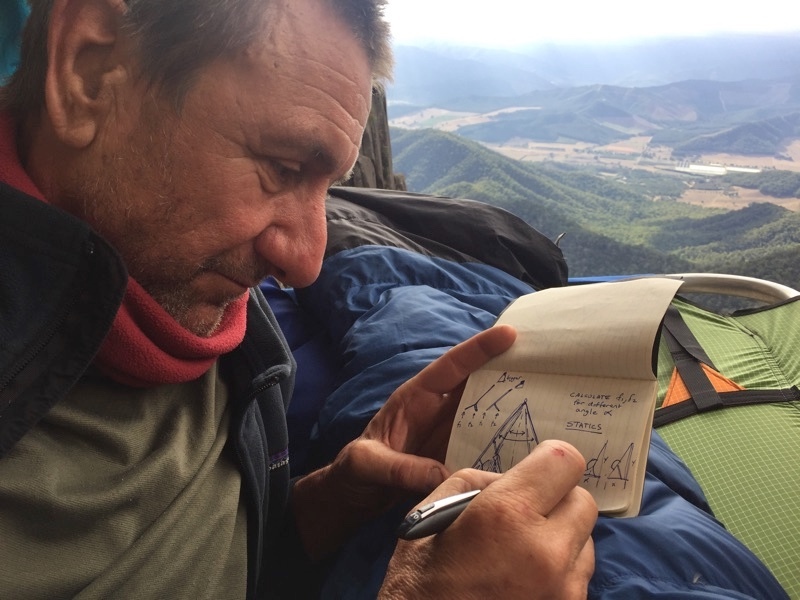 Last year, as I was beginning work on the new D4 portaledge, Simon Mentz suggested teaming up for an ascent of Ozymandias Direct. I heartily agreed, not really thinking about the fact that I hadn't climbed a wall for nearly 20 years. 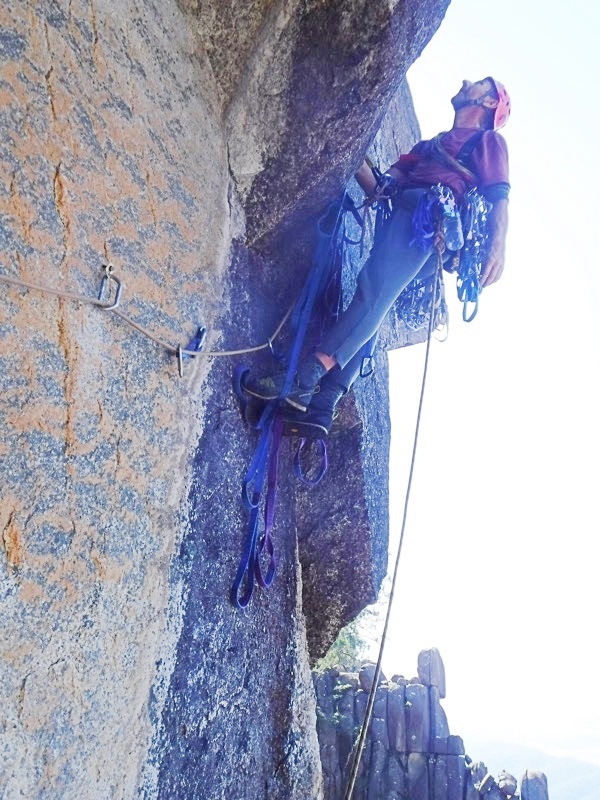 I rarely get out on hard climbs these days, preferring to enjoy easy and moderate climbs with my boy. 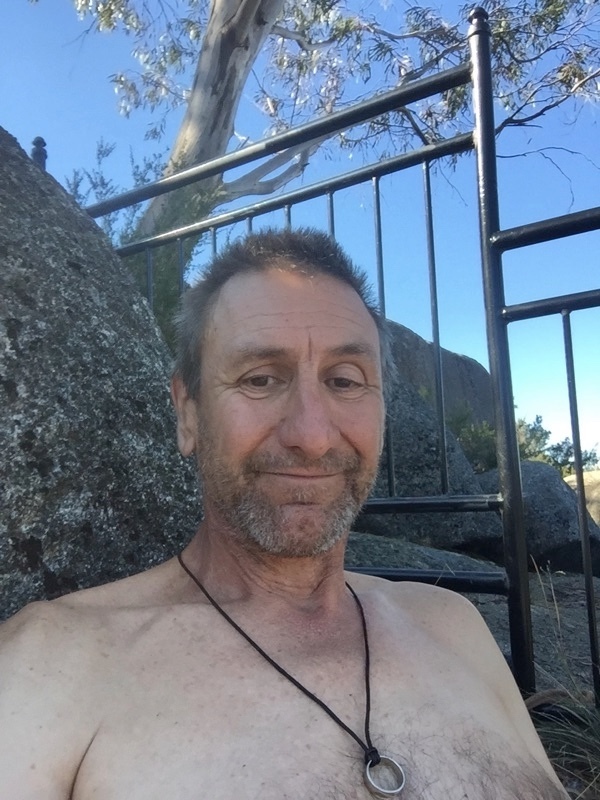 But when the time came, and after a week of "getting in shape" at Arapiles, I was ready for the adventure. 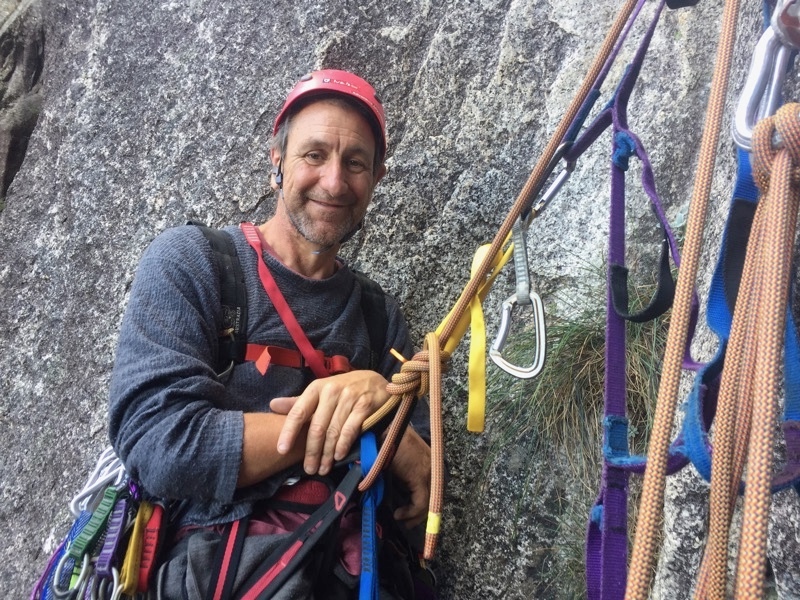 Luckily Simon is an ultramarathoner, and hardly complained when I loaded up his haulbag full of all but the rack and one rope for the descent to the base, as the most daunting thing about getting back on the big stones for me is my diminished capacity (at age 57) to carry the back-breaking loads of all the crap one needs for a big wall. We hiked down around noon to the base, which took a few hours of bush bashing and finding the best trail down the stepped canyon. We were grateful for the many cairns and the short sections of fixed ropes, which helped dropping down ledge systems with our heavy packs. There was a running creek where we filled our water bottles. 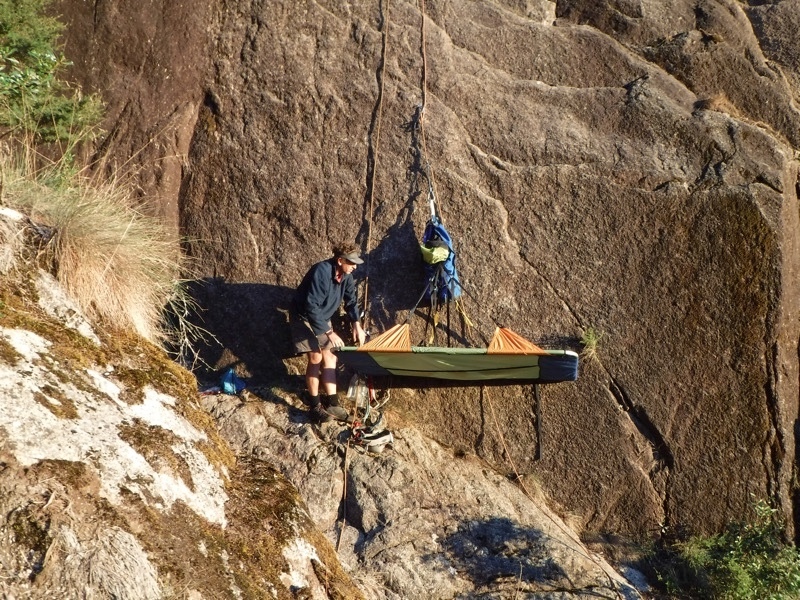 Then we fixed the first two pitches (60m), and had a night at the base, which is not a great bivy with only a place for one to sleep--as I had been sleeping in my portaledge solo the whole previous week in Arapiles, Simon took the portaledge for the night, and I perched myself on a tiny platform on the edge of a long and steep dropoff for the night. The long corner which creates the second and third pitches is a pinched off crack and must have been mostly knifeblades on the first ascent--it was hard to believe it had had so much traffic in its early years to create the shallow, sloping pin scars that opened up enough to allow it to go clean in so few years, but in 1975, Rick White and John Hattink climbed it without hammers all clean. 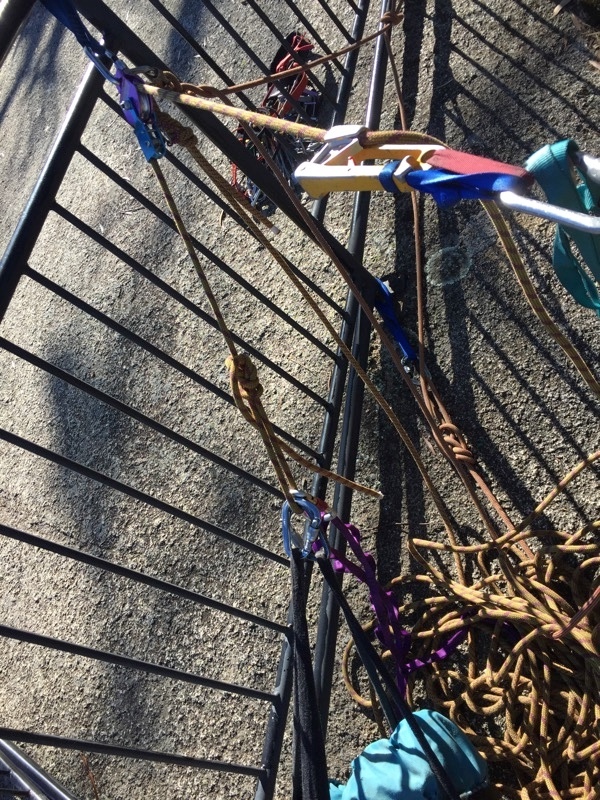 As a clean route, we found it fairly technical, C2+ or C3, requiring moving up on reasonably long sections of tipped out tiny RP's and stoppers, along with the occasional micro cam and camhook. 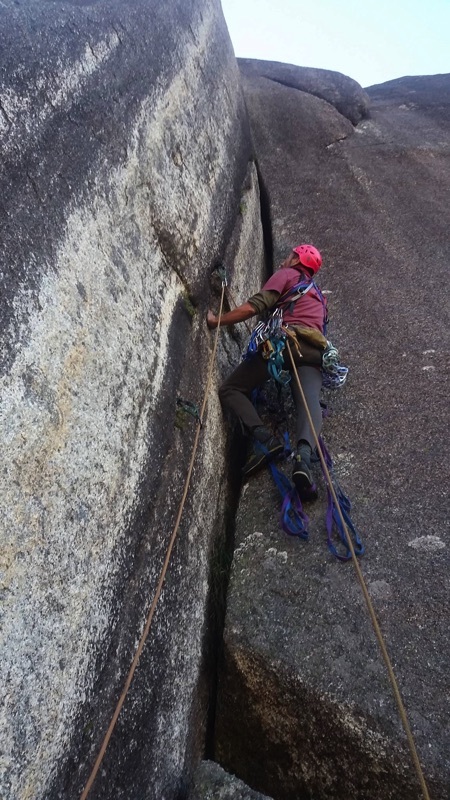 Once we got to Big Grassy at the top of pitch 3, the cracks become more reasonable. 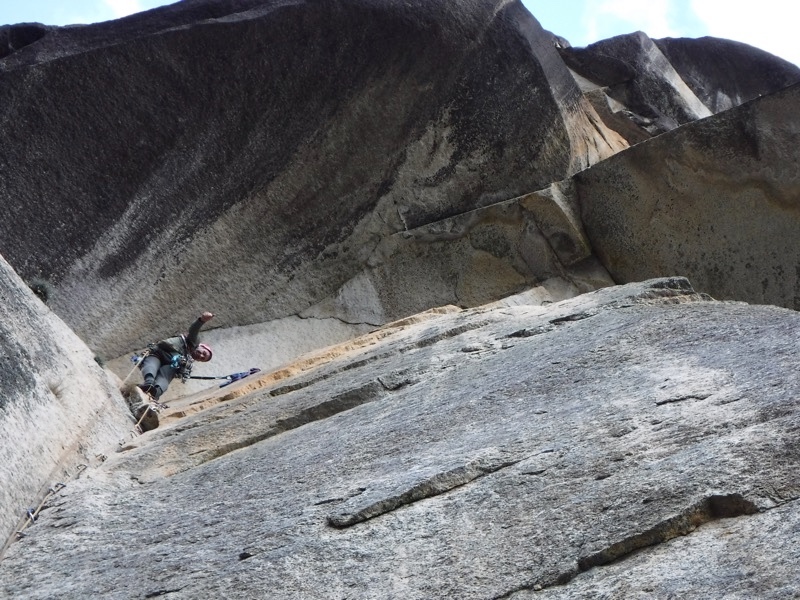 We took the arguably more classic line of Ozymandias for a pitch (C1) before traversing back on a more recent bolt ladder (as part of the free route) back into Ozymanidas Direct, and made it to the top of pitch 5, under the huge imposing roof midway up the climb. We set up my new D4 portaledge, and settled in for the night. The next morning the internet (amazing big wall tool!) told us of an oncoming storm, and the skies did look threatening, so we decided it would be best to sit tight for a day to let the storm blow over. All morning it seemed okay to climb, even got sunny at times, but around midday it dumped hard for an hour or two, and we were glad to have the justification of lying around all day in that spectacular spot. Plus the day off gave me time to post some live updates to the D4 Portaledge Kickstarter, as it was so novel to me to have the internet while climbing a big wall. The roof above protected us from the elements, and we didn't even need to deploy the fly. Besides, it was a great way to "get-to-know" my new design. 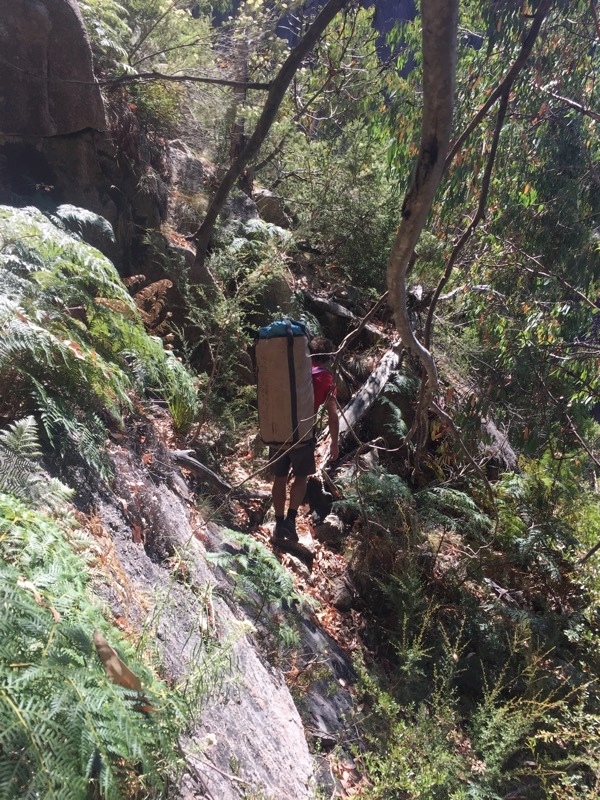 I was really pleased with the strength and stability, and also how easy it was to deploy and pack up. Made portaledge living much more enjoyable. [See post #191 on this thread for more on the first report/thoughts of the performance of the D4 Portaledge]. After the full rest day lounging around on the portaledge, Simon led the roof, which has a large seemingly loose block at the lip (it's solid), and sharp edges (though the rope runs naturally around a rounded edge), which had seemed so imposing the day before, but went without any issues. The block reminded me of the Paul Bunyan's Coffin Block on the Atlantic Ocean Wall, and coincidentally, Levy had posted a Facebook pic of the AO roof just as I was starting to clean the pitch. 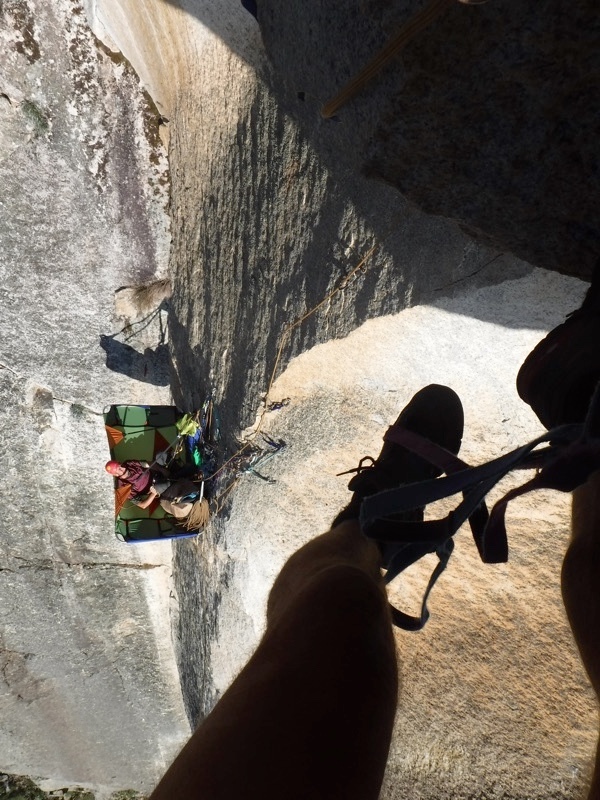 The next pitch is one of the more awkward pitches, going around and through two small roofs, wide and very thrutchy. 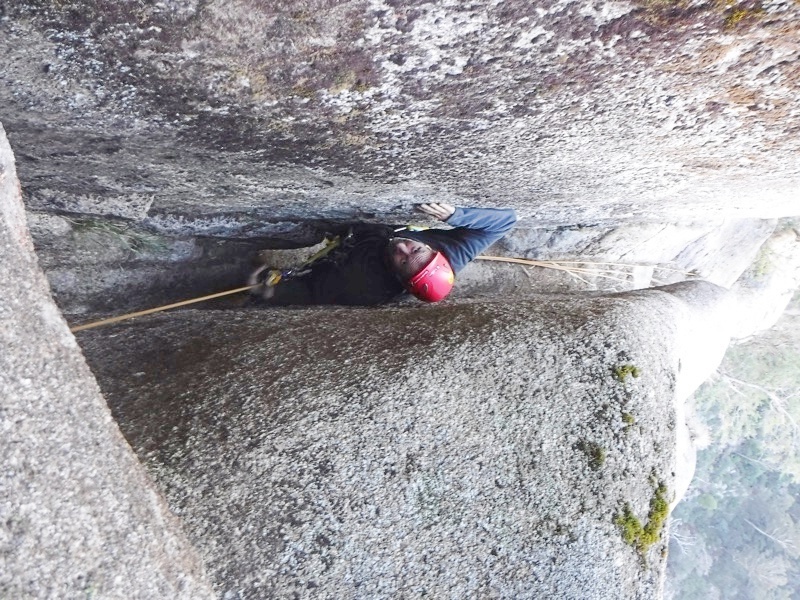 The second to last pitch goes up a ways, then through a chimney which is hell to follow! 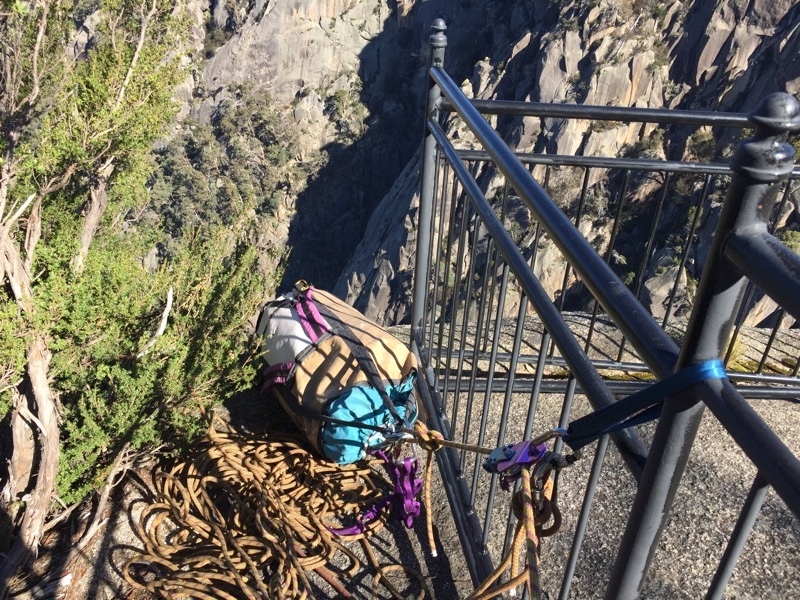 The final pitch ends at the Wilkinson Lookout, with a nice easy belay of tied-off Guardrails, and a lovely spot to hang out and appreciate the horizontal in the warm afternoon sun. 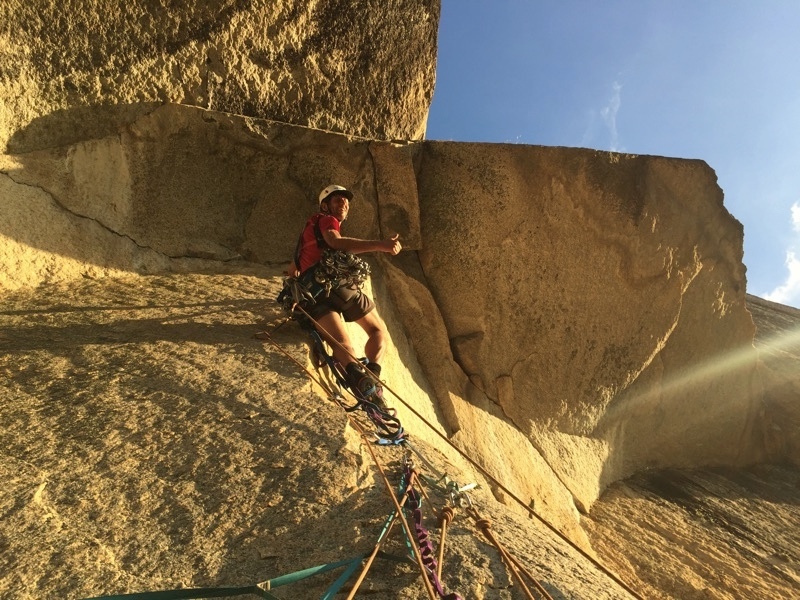 A great adventure with a great partner, we had tons of fun climbing it together, and I would be very happy if Ozymanidias is ultimately the final wall of my big wall climbing career! P.S. 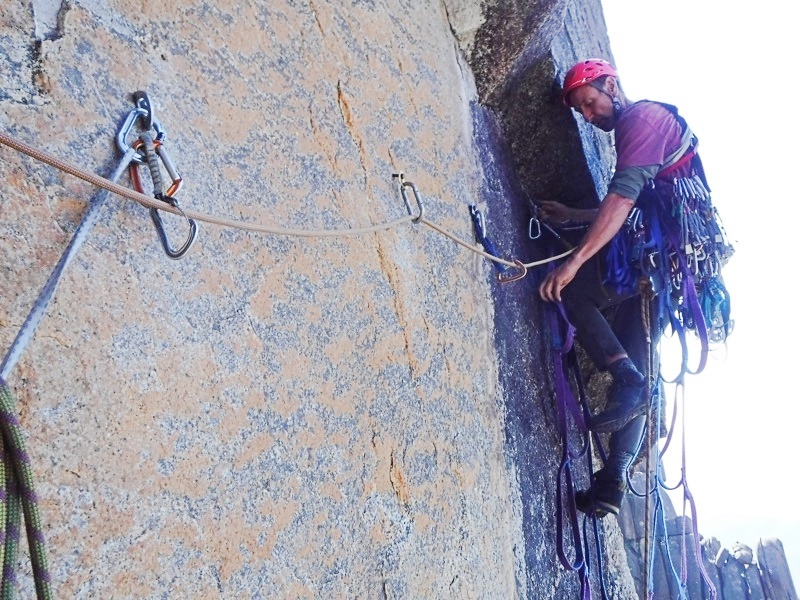 Many thanks to the wall climbers of Arapiles, Kate Dooley, Gareth Llewllin, Adam Demmert, who lent us key pieces of gear, like a belay seat, aiders, a #5 Camalot, a camhook, and double gear sling, also all the good beta, especially from HB who could recall all the key placements at various spots on the climb! 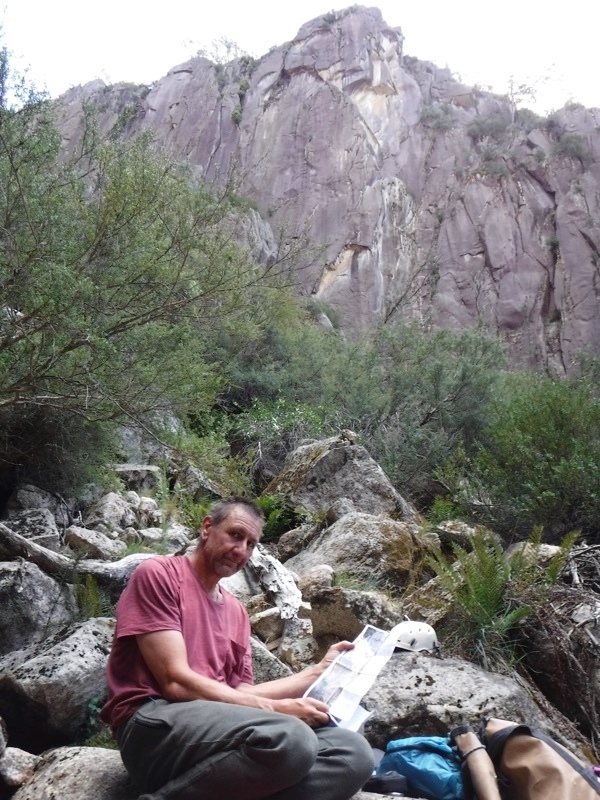 At the bottom of the canyon, with Ozymanidias in view. 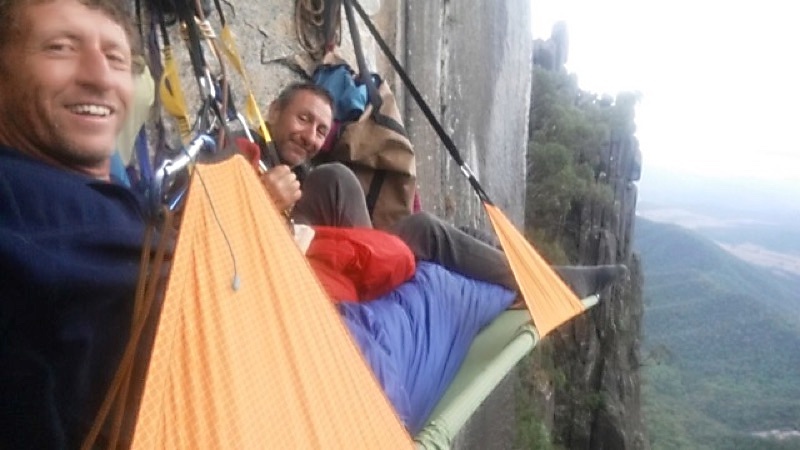 Simon's first bivy spot at the base, after fixing the first two pitches. Simon following the second pitch. Simon on the crux third pitch. Simon Mentz, the man, the legend. Me leading the pitch to the roof, C1. Our bivy at top of pitch 5. This was taken at the exact same time as the last photo. 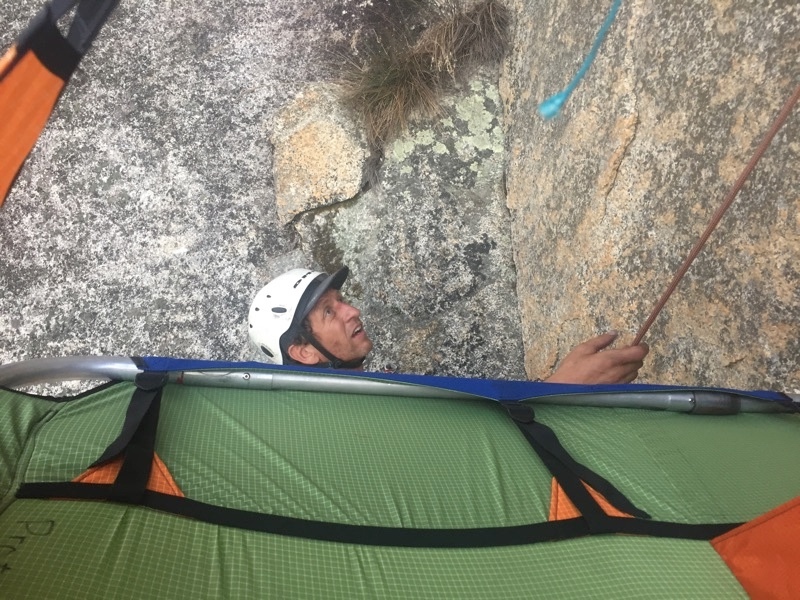 Simon's first time on a portaledge! Looking a little apprehensive. After a few hours and some whiskey, Simon was right at home in the ledge. I kept thinking of new design tweaks. Another shot of our two-night bivy from the canyon rim. A fun day hanging out in space, complete with storm show. 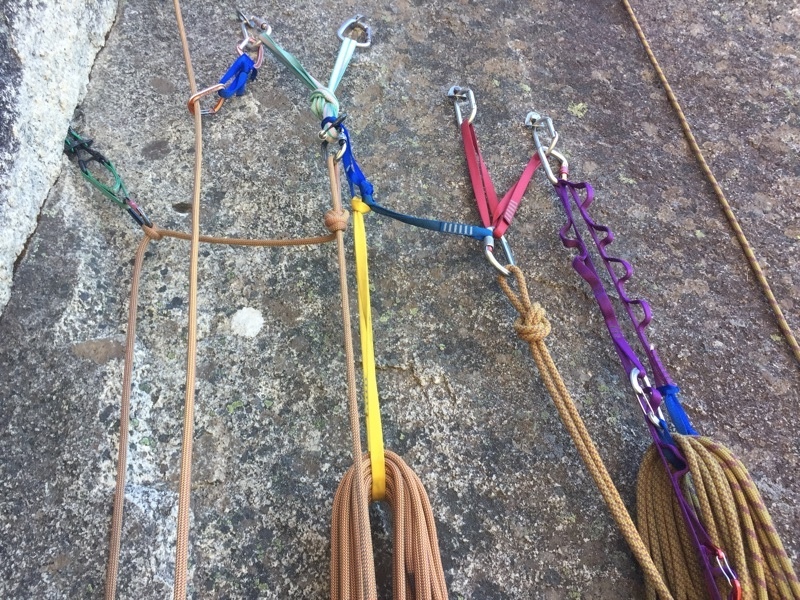 D4 Portaledge makes for a great belay ledge! Simon took this shot just before turning the roof. Simon about to turn the roof. The start of the awkward pitch. "oh no, I have to go through that!?" Hellish chimney to follow on jumars. I felt pretty wasted when I first arrived on top. But soon we were celebrating our adventure! 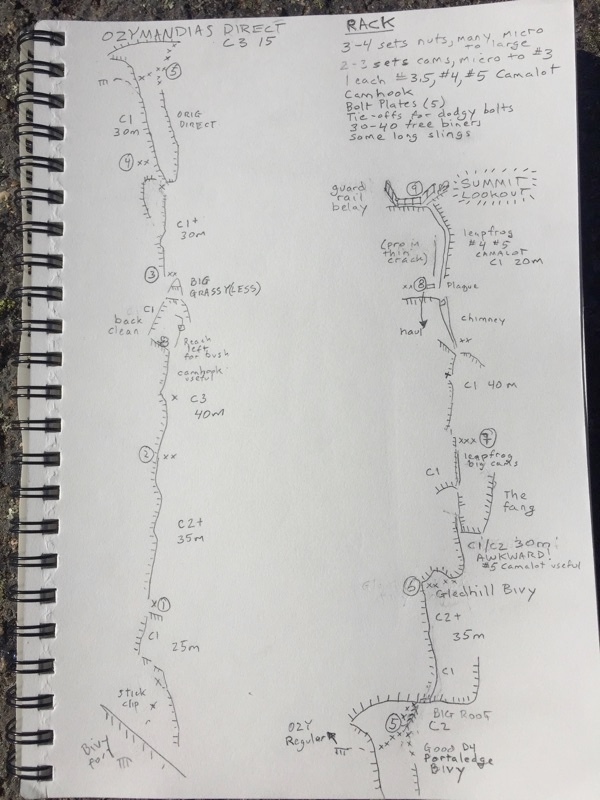 The topo I drew after the climb. 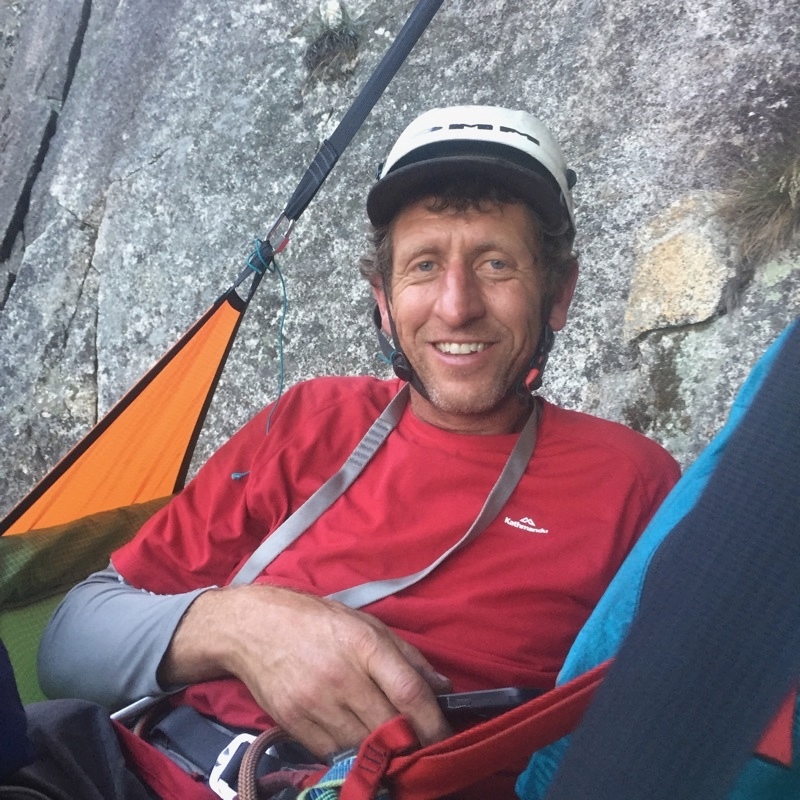 Deuce4 (John Middendorf) is a climber from Hobart, Australia. Thanks for sharing. Very cool, postcards from the edge. That looks like you 2 had a lot of fun ! Anything left of Big Grassy these days? Looks like the bush is still there, but I couldn't tell from the photo whether it was still a decent bivy spot or whether it is now too eroded/sloping to be comfy without a portaledge. 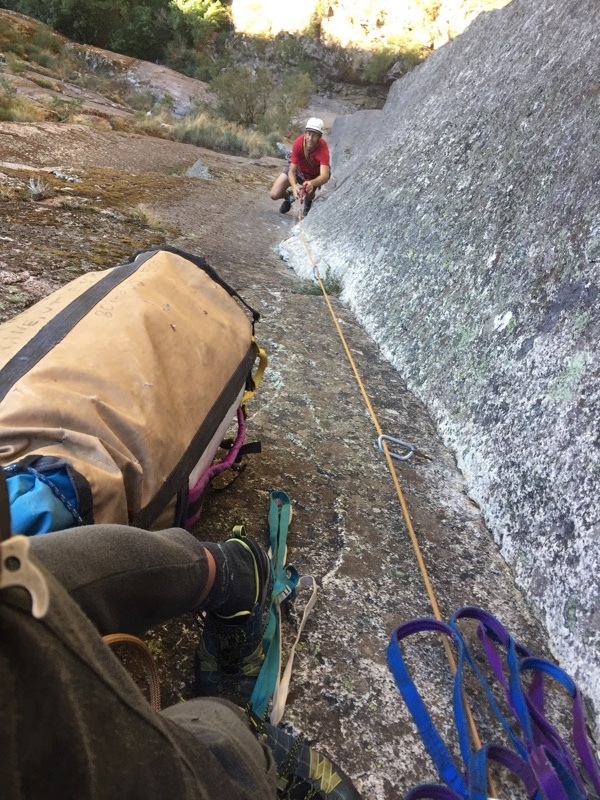 Not much space to bivy on Big Grassy--highly recommend skipping it and setting up a nice lightweight portaledge on Pitch 5! Yeah, looked like a good way to break it up. Hey Deuce I'd like to hit you up later about some beta for a visit to Tassie as me and my wife (and at least one daughter) are headed there for 2.5 weeks next (your) summer. A JUMAR?? Wow, you even have the brittle cast aluminum handle backed up with a sling. Whaddya mean your last wall? Are you kidding me, mate? 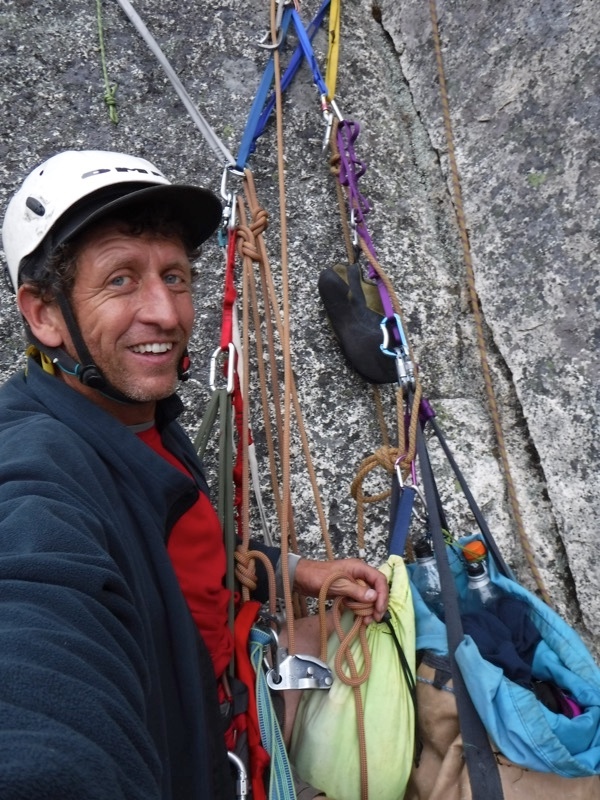 I've got plans for us on El Cap. Awesome that you got to share the experience with your son! Elza: Simon is not my son! My son is only 10 years old, Simon is a bit older. Sassy: No kangaroos on route. Dehli-Dog: Beta for Tassie available anytime! 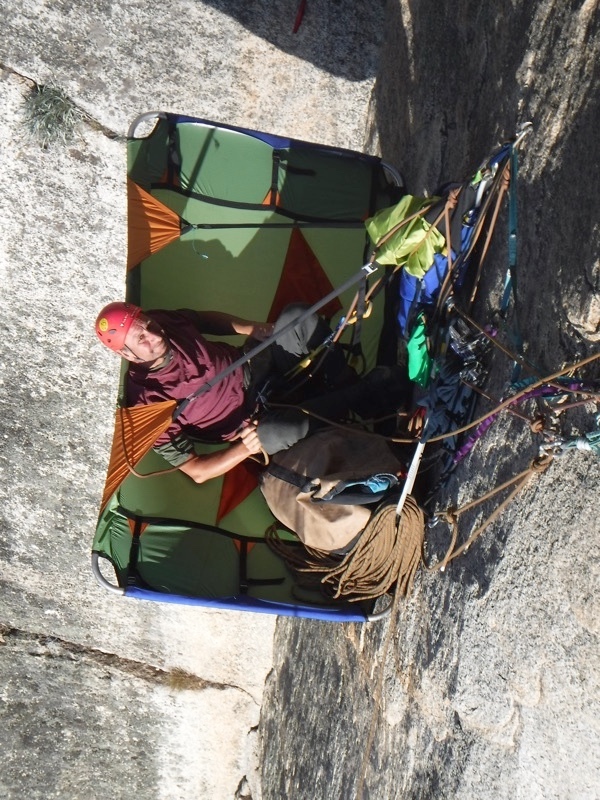 Pete: Gonna design the Porta-couch for any vertical camping ascents. Pete hauls! 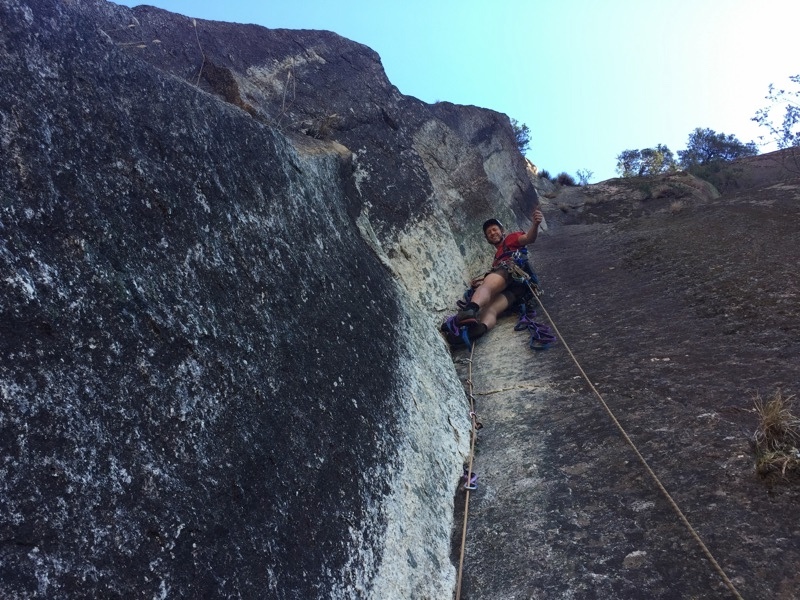 Love the carrot bolts on the awkward traverse! Are those still being installed on routes today? I don't think anyone still places carrot bolts, and they are all getting replaced by expansion bolts and glue-ins in most places. Was surprised that these in particular hadn't been replaced, they will definitely snap one day, as they stick out miles and are quite rusted. 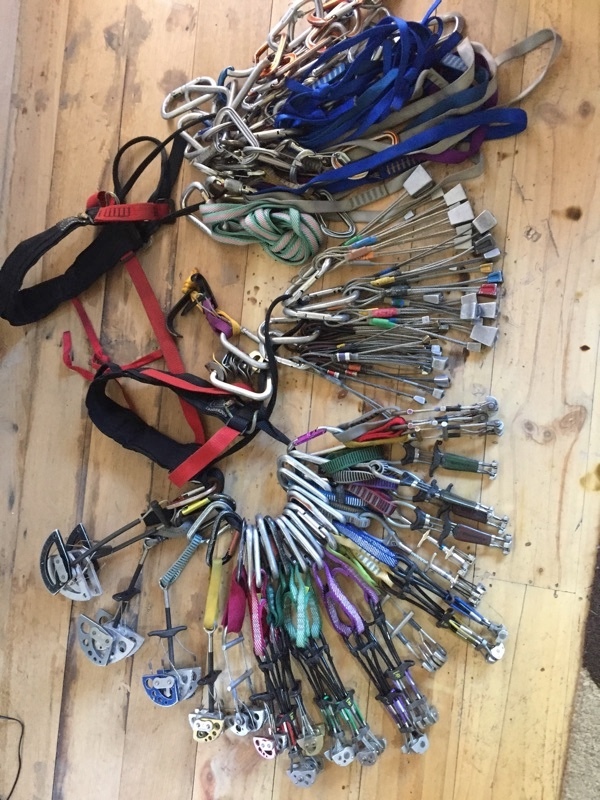 Where the free version goes, the bolts have been largely been replaced (at that particular point, the free version traverses below those bolts into a nice crack), but there are a still a few critical rotten carrots for the clean aid climb. Didn't mention it in the TR, but the free version of this route is truly amazing. 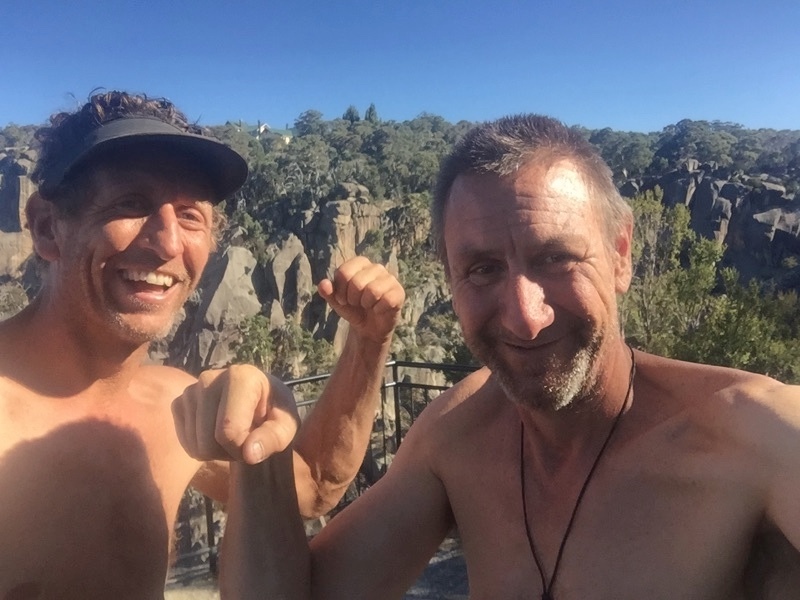 Hats off to Steve Monks, who first did it all free way back in 1995, and Lee Cossey, who apparently fired it in a day in 2005 , and of course all others who have freed it--it looks a hard and very bold free climb (5.13), in a true big wall setting. We were also impressed with the one-day aid rim-to-rim solos of the route, like Kate Dooley's--lots of work! And of course HB's legendary solos of Ozy and Lord Gumtree in a day--wow! 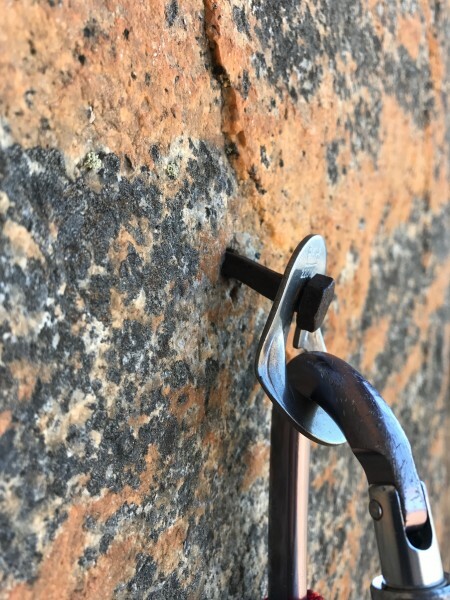 I think there are some placements that even with clean ascents, might get blown out by camhooks and perhaps even when yarding out nuts on the clean, as well as some of the old carrots breaking and rendering sections unaidable on clean gear. I suspect there used to be more fixed pins in the route--now there are very few. 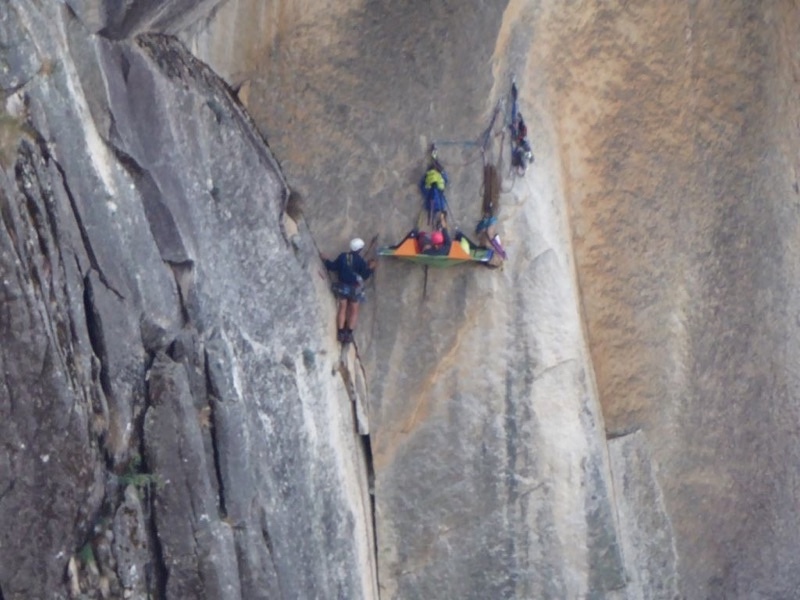 It wouldn't seem unreasonable to me if someone put in a few more bolts to both protect the necky free climbing and to ensure its place as a moderate first big wall climb for Aussie El Cap aspirants. p.s. interested all the comments about my old yellow jumars! When we first moved to Australia, it was theoretically only for a year or two, so I brought very little gear to Australia--actually, I like the yellow jumars mostly for the rigging jobs for movies and stuff, which comprised a large chuck of my income back in my big wall dirtbag days, which is why I brought them, but had retired them for big wall climbs way back in the 80's. All my other big wall gear is still in storage in Colorado, where it hasn't seen the light of day for 10 years! Loved your TR. photos and text were perfect and glad to hear that you and Simey had such a great time. I have been wondering for some time if John Middendorf of Hobart, Tasmania is the same JM of The Valley fame. Now I know. Ducey back on big walls again !!!!!! 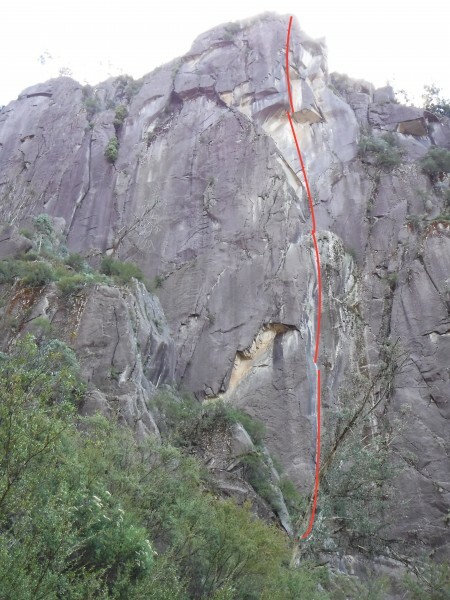 Looks like a good route. Kinda like Moro Rock in Sequoia with the railing anchor on top. Except at Sequoia you get swarmed by tourists. TFPU! 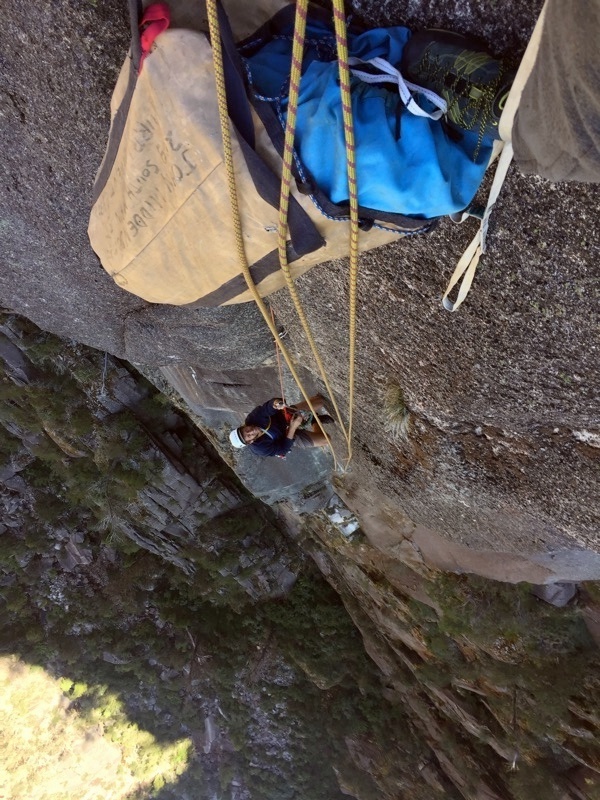 It's great that you got to check out your new portaledge personally on such a fine route! That's a great report Deucey! Hey has the direct gone free? Way to get back on the bull again. I seem to recall a magazine article about this route. 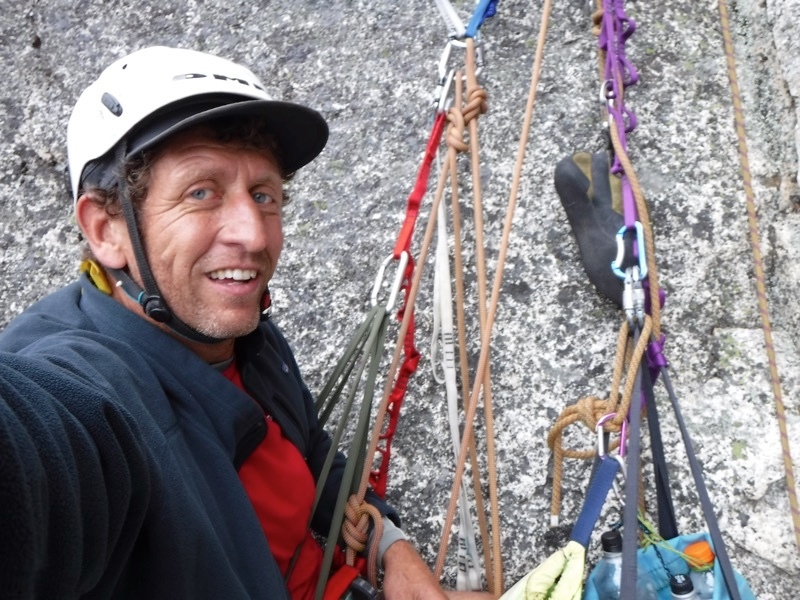 Great to see some impressions of 'big walling' down here from a Yosemite veteran. Thanks John. 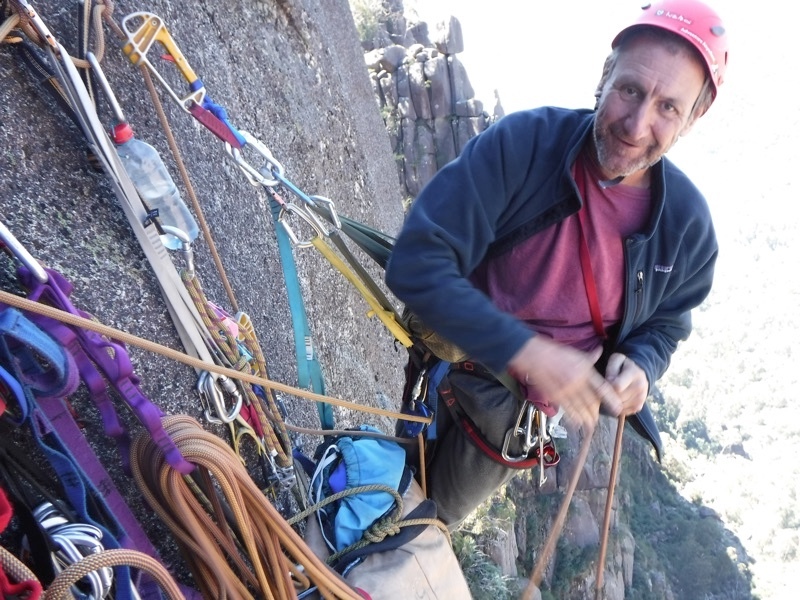 To add to the historical tidbits, Geoff Gledhill (who put up the Direct in '72) is still climbing, very actively, and putting up new routes onsight up to grade 17 Aus (5.9+) and seconding to at least 19 (5.10b) - at age 72! Great read & thanks for the TR! We were we up there just a couple of weeks before you - glad to hear I wasn't the only one who's struggled burrowing through that fang pitch! A great, fun report from The Master. Yikes on those funky bolts sticking out. Somebody needs to replace them buggers.